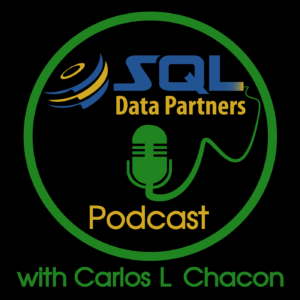 This past week, I had the honor of being interviewed by Carlos Chacon and Steve Stedman from the SQL Data Partners Podcast. It was quite an honor to talk about new features of SSRS in SQL Server 2016, my new Wrox Press SQL Server 2016 Reporting Services book and the PASS Business Analytics Day. A big thanks to Carlos and Steve for welcoming me to their podcast show. I’m quite impressed with the quality and professionalism of this production. You guys do a great job. 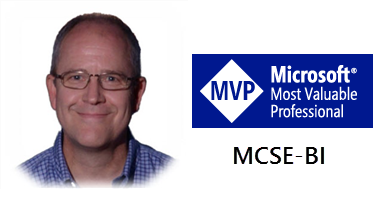 Look for Episode #77 – New Reporting Options in SQL Server 2016. After well over a year of hard work, the book has gone to press. Amazon shows that they will be shipping copies by February 6th. I’m working on a series of blog post excerpts from each major topic in the book. These posts will include abridged chapter summaries, complete with walk-through demonstrations and samples. Subscribe to future post notifications to get the entire series. January 11 is the big day for the Power BI workshop, part of the PASS Business Analytics Day in Chicago. The workshop covers Power BI from the ground-up for business analysts and IT pros. You’ll learn basic data importing from files and databases, transformations, modeling and reporting. Then, we will cover many advanced-level topics like working with on-prem, enterprise-scale data, complex transformations and modeling, DAX essentials, dashboard and report best practices. We’ll also take a peek at using R visualizations. No matter what your role is, you are bound to learn some useful skills and techniques. The flexibility of the Power BI platform is pretty amazing. If you are new to Power BI, we will teach the basics and you’ll see how it can be used in a variety of settings. If you are an experienced data analyst or IT data professional, you will learn to use Power BI to create scalable, professional solutions. Since the event has exceeded attendance registration expectations, they are moving our session into a larger room. I’ve been putting the final touches on the new session content demos and lab exercises. I’ll be covering more than ever before in a full-day Power BI workshop. If you are attending, make sure you have the latest version of Power BI Desktop installed. We’ll be handing out all the exercise data and samples on USB drives at the beginning of the event. Plan to have at least 2 GB of free storage space for these files. There are many differences between the EdX course and book but both cover some of the same material in different ways. The EdX course covers a subset of the book material using different sample data. Microsoft wanted the EdX course to focus mainly on analytics and data visualization where the Wrox book covers that and other types of reports – like transactional and operational reporting. In order to achieve this goal, we start by covering some of the basics in the course but not as thoroughly as they are covered in the book. Thanks for asking.